This article will discuss the benefits of today’s self-service ad-hoc reporting solutions for quick, powerful reports for all business end users. This article discusses report writers and best practices for spreadsheet design for organizations looking to expand their SAP Business One experience. This article will discuss financial report writers in today’s marketplace for manufacturing organizations looking to expand their SAP Business One experience. Have you used a Fitbit before to track your fitness activity, diet and sleep? If you have specific fitness goals to be healthier and the Fitbit carries all the features and functionalities you need, this tracker is perfect because it describes in detail an event, situation or occurrence. Similarly, a financial report writer collects and presents financial data so that it can be analyzed. Reporting is the necessary prerequisite of analysis. Reporting makes data understandable and ready for accurate and efficient analysis so you can better reach your company goals. This article will discuss your options for features and functionalities that third party solutions are offering for your SAP Business One (SAP B1) system, specifically zooming in on data management and analysis in manufacturing companies. There’s a lot more to cloud–based business intelligence tools than easy data accessibility. This article examines why CFOs and accounting pros see cloud BI as a great return on investment. Like a lot of productivity and management software, business intelligence (BI) tools are moving to the cloud. Why? Sure, the cloud makes BI more accessible, and deployments more manageable, just like data of every kind. Whether it’s Corporate Performance Management (CPM) or even music, you can access it via any web browser or mobile device, anywhere, anytime. But there are other reasons why the cloud and business intelligence tools are a perfect match, especially for CFOs or accounting pros who rely on BI to boost bottom-line performance. We’re talking about solving problems such as lowering costs, gaining flexibility, and increasing productivity, all while realizing BI’s promise of delivering the right information to the right people at the right time so they can make more informed decisions. As Solver builds – and gets ready to deliver BI360 as an innovative cloud service, we continue to discover reasons why cloud is the future for Business Intelligence. 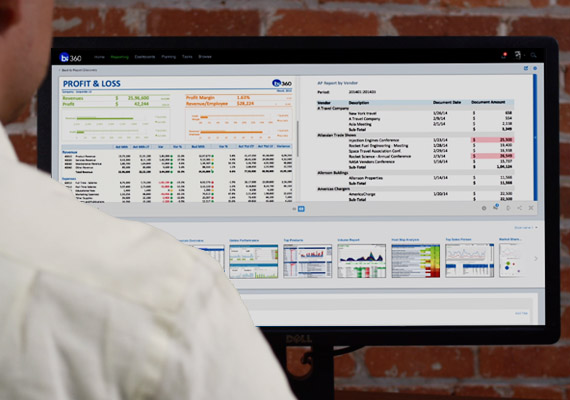 Here are 9 reasons why a cloud-based Business Intelligence Tool may be right for you.